With PayWhirl you can add shipping charges to every purchase, based on the customers location or total price of the order. 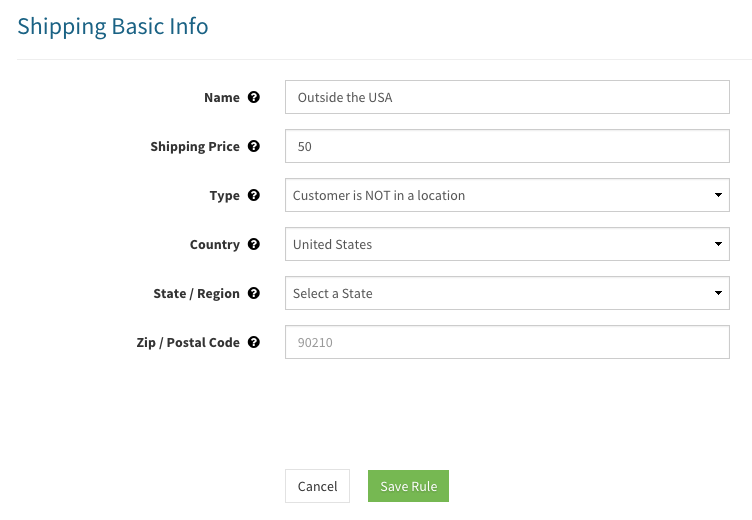 In this tutorial we'll cover how to charge shipping rates based on location. 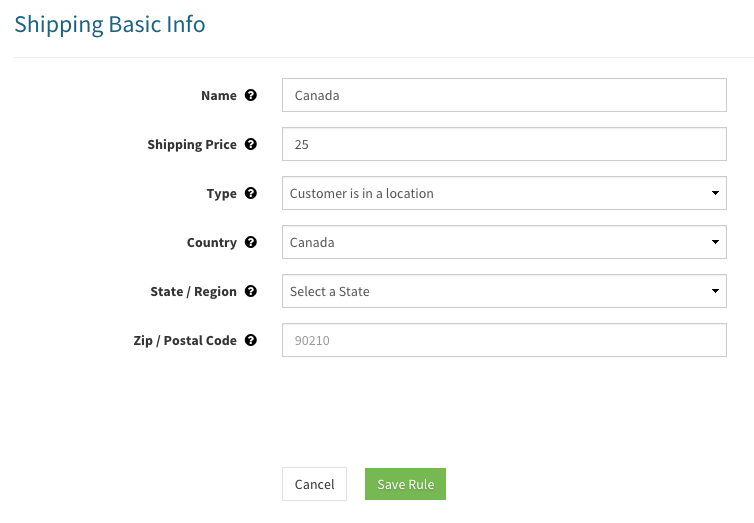 If you haven't setup any shipping rules you can click the "Create a Shipping Rule" button. If you already have shipping rules you will need to click the "New Rule" button in the top right corner of PayWhirl. You have the control to be as specific as you want with shipping rules. 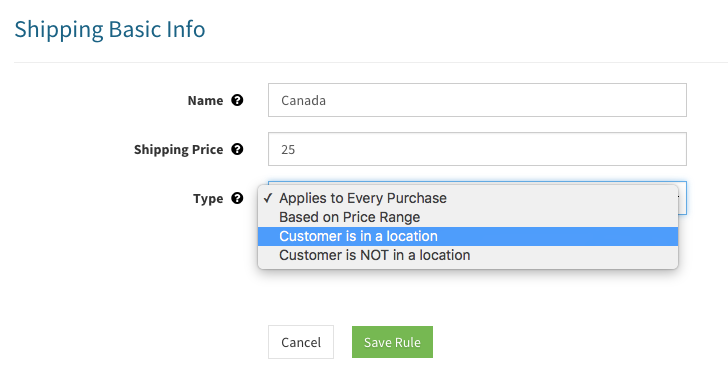 For example, if you added another shipping rule for Canada and selected a State / Region then it would override the rule for the country. The same goes for the Zip Code. This allows you to create "Blanket" rules that cover the entire country and more specific rules for regions within the country. Note: A price range is the most specific shipping rule and will always apply as long as the customer's "shipping total" is in the specified range. If you have any questions about shipping rules please let us know!